Another round of crazy rate increases in the marketplace. We have spoken with people that have to weigh health coverage versus rent. We're seeing rate increases ranging from 12 to 50%. We even have some clients where their coverage doubled due to a low priced carrier leaving the area. We don't want to pay the 2.5% penalty for not having insurance. Good question and we finally have an answer we can get behind. Let's look at our favorite alternative to obamacare and explain why. We're a bit limited here. The ACA (Affordable Care Act) law really worked hard to narrow the options available to people. This was an attempt to force everyone into the marketplace and make it more robust. We're a few years into it and we've haven't seen this work out yet. Let's get into each one. First Short term health coverage. In the final outgoing year of Obama, he pushed through an order that limited short term health plans to 3 months. This may be relaxed going forward but it's currently a big issue. We have to re-enroll and re-qualify based on health after each 3 month block. If you have any big health issue (the reason to get coverage anyway), you may be out of luck when the 3 months end. This is a dangerous way to address health care expenses. See below in the "no health insurance option" as to why we want some level catastrophic coverage. Open enrollment for Obamacare happens at the end of each year or if we have large life changes (marriage, birth, loss of group coverage, or significant move). We need to get to that point. 3 month blocks is a dangerous way to do it. Maybe more importantly, you still have the penalty for not having health insurance. You can quote Short term health plans here. If you really want to give 2.5% of your gross income to the Federal government then...well...there's probably not much we say. The insurance companies and agents have been big fans of this lately. We never bought into it. 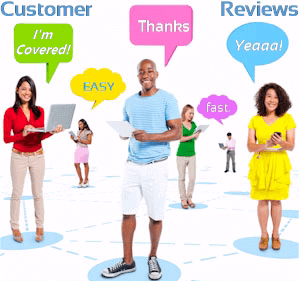 It's great for insurance companies and agents. We're not to sure how it works out for actual customers. Basically, people are combining small policies that trigger payout if you come down with specific, bad health conditions or suffer from certain emergencies. The carriers pay directly to you in most cases. This might work to fill in the holes of a high deductible health plan but as a stand alone option, it's dangerous. The max payouts usually run up to $10K depending on the policy. A simple surgery in a hospital can be $50K plus. Do you have $40K lying around? What's the point of this type of protection when the risk out there is so significant. Keep in mind that 75% of last year's medical-caused bankruptcies occurred to people who HAD health insurance. Not that crazy when the Obamacare bronze plan has around a $7K max out of pocket and only 30% of Americans have $1000 or more available in their bank accounts. The Critical Illness and Emergency Medical options are a good fit to address this high deductible exposure. Not great to act as stand alone coverage. Also...don't forget the 2.5% of your gross income you'll be sending to the Federal government. That's a fun check to write. What if we don't get any coverage? This goes to the root of why get health coverage at all. We're probably not the right people to talk to on that. We get calls daily from someone who just got hit with 10's of $1000 in medical expenses and need health insurance fast. Um...it doesn't work that way. You can work out a payment plan with the hospital but get ready to pay for years. On top of that, you'll write another check to the Feds. So we're paying the hospital and the Feds now. Roughly 2/3rds of last year's bankruptcies were the result of a medical emergency. It's the leading cause of financial ruin in the U.S.
We all know costs are crazy now but it's literally the lead candidate in ruining families' finances. What is a viable alternative to Obamacare and the ACA? Okay...buried deep in the ACA law, there is a special section dealing with health sharing ministries. They are memberships where members share health care expenses after paying a monthly membership fee. Very similar to how health insurance actually works but these are different. The plans are not subject to the 1000's of pages of requirements that ACA health plans have to go through. Unfortunately, those pages all carry additional costs with them and that's why ACA health plans have roughly tripled since 2014. You will not be subject to the 2.5% tax penalty with a health sharing plan! We avoid the tax penalty. No check being cut to the IRS (for not having health coverage at least). Maybe more importantly, the AlieraCare plans actually help to address health care costs. Max exposure for covered benefits up to $1M. Very similar to the type or protection we had before the ACA law. Health sharing plans are not for everyone. AlieraCare even has a very popular catastrophic version of health sharing called CarePlus Advantage plans here. Make sure to read the guide in order to understand who it might work best for. Let's look at a little closer the Health Sharing alternative to Obamacare. If you don't qualify for a tax credit and are in relatively good health, health sharing plans may be the way to go. First, let's understand what they are. In the ACA law, there was a special carve-out for faith based plans to avoid the tax penalty and other requirements. These are called health sharing plans. They act as memberships where members share health care costs through a non-profit company that manages the process. This operates similarly to insurance companies but there are some big differences. Let's look at the pro's and con's of the health sharing options. On the surface, they look very similar to the old coverage options we had before the ACA law. So what' the net net when comparing Obamacare and Health Sharing plans? We're comparing annual premium savings versus less robust coverage. Obamacare plans are richer in terms of what they cover but there's a cost for it. If you don't get a tax credit, this cost can be prohibitive for many people. If you don't want Obamacare for whatever reason, the health sharing plans will be the best option. Generally, they're priced about the same as health sharing plans anyway. They also have the same limited catastrophic coverage elements and waiting periods. The health sharing will allow you to avoid the tax penalty. 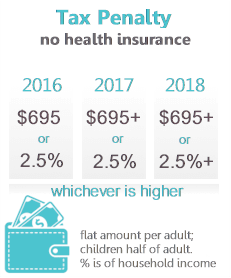 Depending on the plan, you can get some first dollar coverage with health sharing plans where short term are primarily catastrophic only. Health sharing plans have many advantages over short term plans. The whole point of any health coverage is to protect from the big bill. It's too expensive to buy coverage that handles the smaller bills well anyway. You end up paying what you would hope to get back whether you use the plan or not. Critical illness/Emergency medical plans (which are really popular with agents these days) are not good for the big bill. What's $10K paid back to you when you have a $100K bill? As a stand-alone option, we would not feel right recommending this direction. We do understand the use of supplementing other catastrophic coverage since so many people get financially wiped out by the $7K-10K exposure with Obamacare plans and health sharing options. Health sharing is much more comprehensive than that option AND you don't have the tax penalty. Health sharing versus no coverage at all. Don't send the IRS 2.5% of your income. Don't take the risk of major medical expenses. Don't lose options to premier health providers because you have no coverage. Health sharing addresses these better than having no insurance for sure. 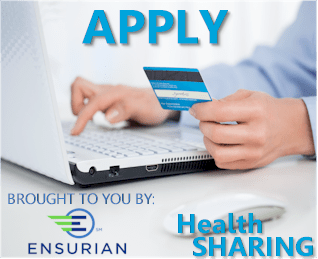 So which health sharing plan is best? AlieraCare - the best health sharing option. For detail analysis on how to compare the health care sharing ministries. There are six companies that are allowed to offer health sharing plans. Only six and no more coming. A company had to be in existence already before a certain date to even qualify. Of the six, AlieraCare is the closest to what people expect from health coverage. 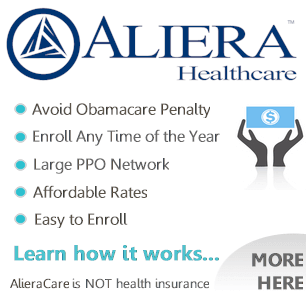 Keep in mind that health sharing plans like AlieraCare are NOT insurance. We wanted to find the option that would feel the most familiar to our clients who could no longer afford (or wanted to pay) for Obamacare. AlieraCare is by far the leading choice and they're also the most popular health sharing company by far. These are a few of the reasons. In general, AlieraCare is the most flexible and sophisticated of the six companies. Some of the other companies have very limited benefits or very strict requirements for joining. There were many items we don't like about them when comparing. It's important that you have the most robust coverage if you're going this route. Health sharing plans are NOT insurance. They don't have the backstop of the Department of Insurance. We really need to pick the best of breed here. Trinity healthshare, which handles the bigger issues (hospital, surgery, etc) for the AlieraCare plans has been in business since 1922! We really like the 20% reserve to pay eligible expenses since health sharing plans don't have a DOI protection. As conservative health agents with 25+ years (we've seen alot), this is probably more important to us than to you. We've seen carriers leave the market. We want the most protection we can have for our clients if they're going the health sharing route. We're happy to run through any questions. This is probably the biggest reason people enquire about health sharing plans like AlieraCare. If you make $40K, that's $1000 in tax penalty. You're writing a check to the IRS to essentially pay for other people's health coverage. There are mainly two ways to avoid this nasty check writing. Obamacare plans or health sharing plans. Health sharing plans like AlieraCare will allow you to avoid the tax penalty for about half the cost if you're not getting a tax credit. There are some important differences to understand. We really want people to understand these differences. Unlike other websites that just sell the benefits, we feel it's important to see the good and bad with any health care decision. In line with this transparency, we wrote an acknowledgement for new clients to make sure they're informed. If you don't see this kind of protection from other sources, they may not have your best interest in mind. Health sharing plans will work very well for a segment of the market. Again, for some people, AlieraCare will be the only protection they can afford. It's become a question of obamacare versus house payments for many people out there. We're very excited about this new option for people but equally interested in helping them make an INFORMED decision. If you have more questions, check out our AlieraCare health sharing plan Guide here. 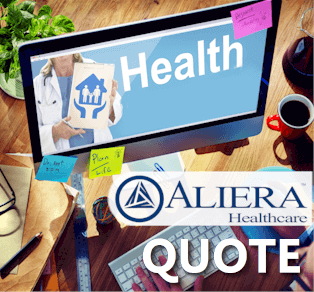 Health Sharing plans like AlieraCare. Of the four options, AlieraCare is the clear winner. Unless you LIKE sending the IRS more of your money. 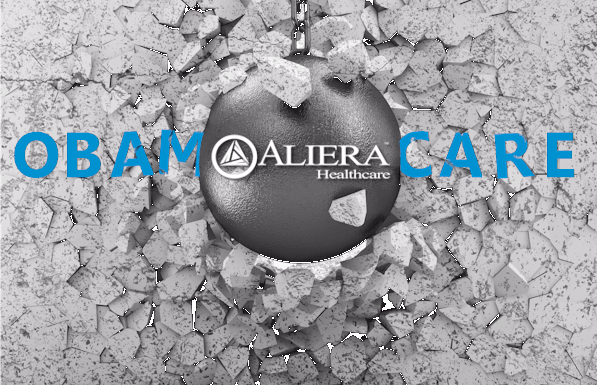 We also touched on why AlieraCare is our favorite health sharing plans. Health sharing plans are NOT insurance but AlieraCare walks and talks the most similarly. In general, it's the most sophisticated of the 6 health sharing companies. Two million people have already enrolled in health sharing planse over the past few years and you're going to see that explode. Every open enrollment brings more bad news on rates, networks, and carrier options with Obamacare. It's only accelerating regardless of what happens in the White House. AlieraCare is finally something we can get behind. With 25+ years and 1000's of clients enrolled (including ACA health plans), we're very picky about what we offer. AlieraCare is now part of that offering. We're happy to help with any questions comparing AlieraCare to Obamacare options.